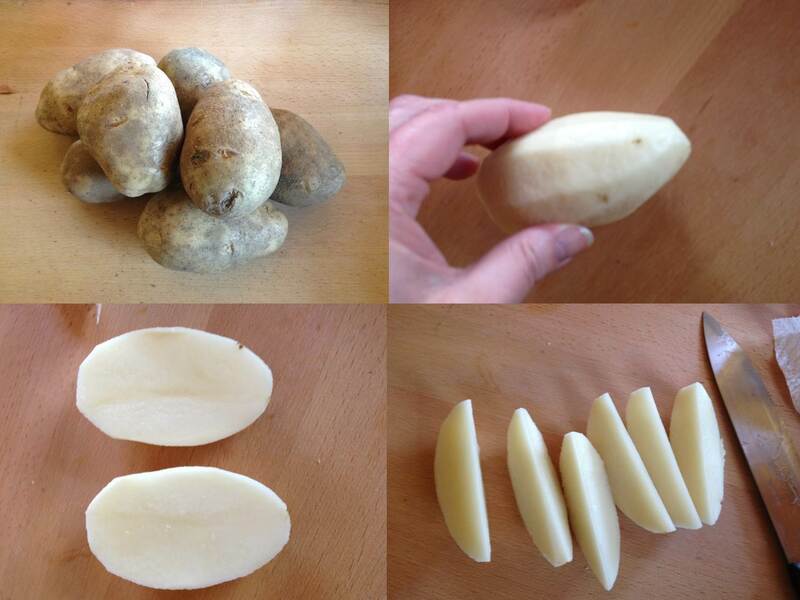 This is how I roast my potatoes too, yum! These look perfect Sibella! I make a similar recipe with oregano and smoked paprika – the parmesan cheese really makes it though. Thank you Korena! Oregano and smoked paprika sounds yummy too; will give it a try! Sounds delicious. 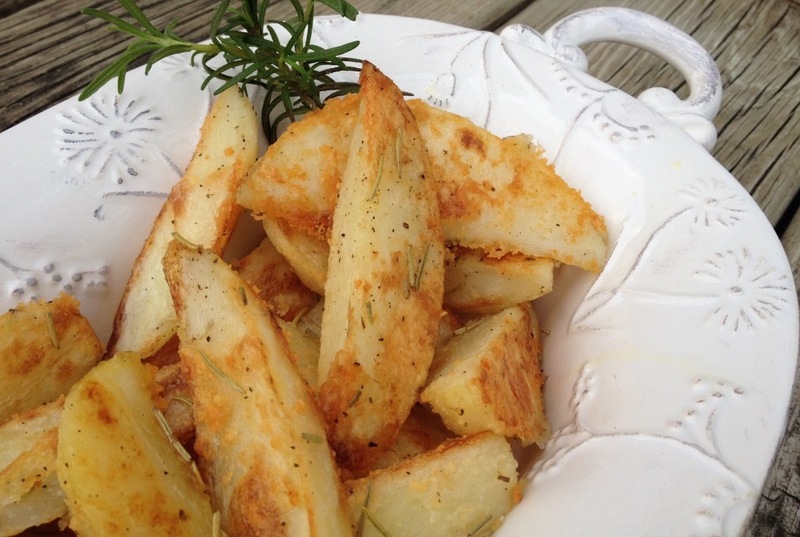 Have you ever had Greek roasted lemon potatoes? 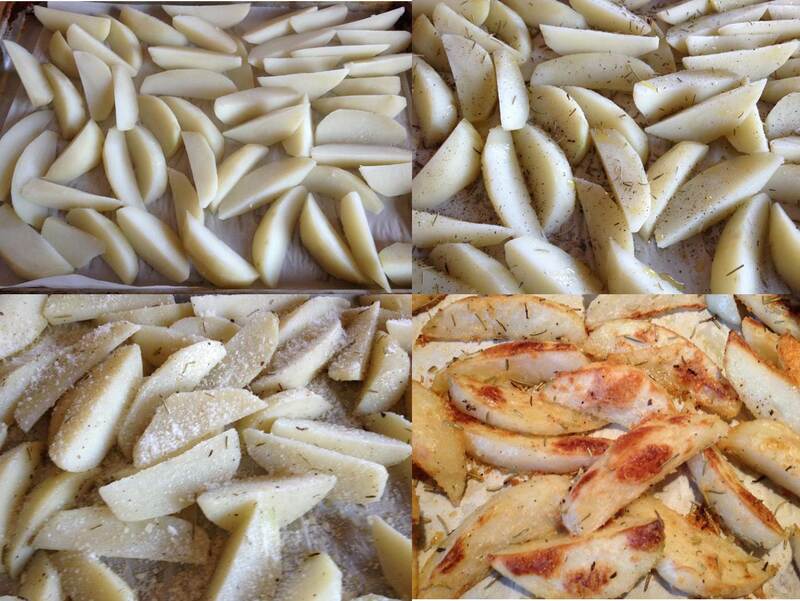 They are cut into wedges like yours. They have olive oil on them and also oregano and lemon juice. I haven’t had any for quite a while so I don’t remember if there is also garlic. 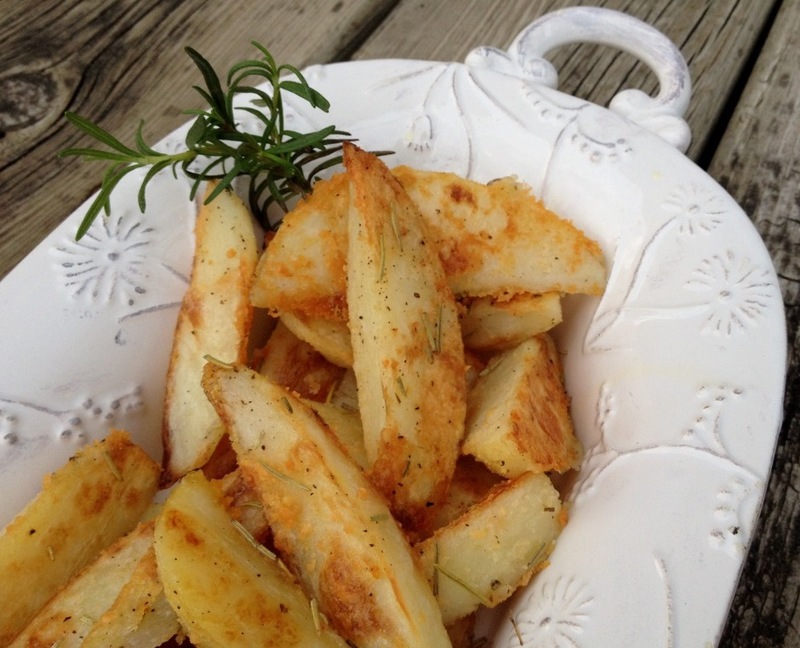 My boys love roasted potatoes and thy would love your recipe. I would have to double the recipe of course. Loving your new artwork and design template. Hoping that you and your family are doing well. 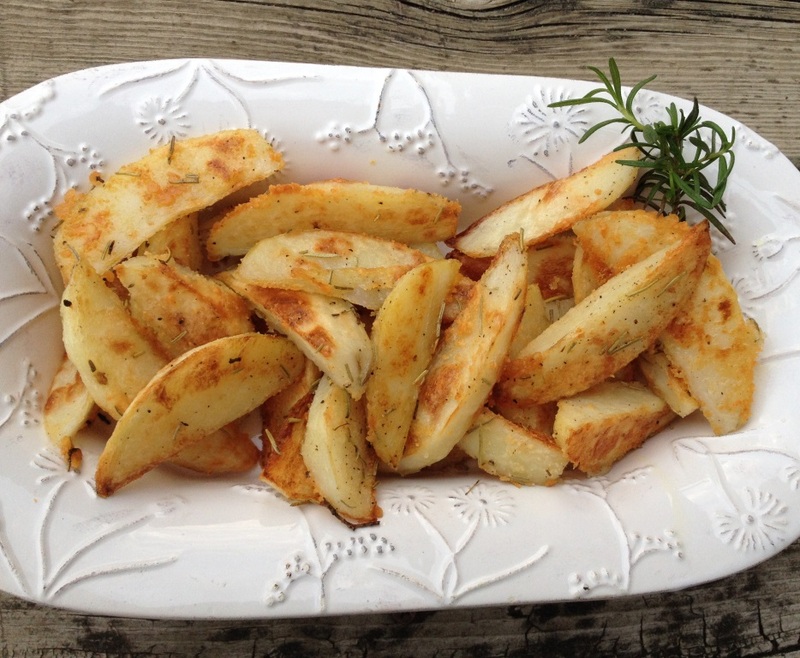 love roasted potatoes – I parboil mine then shake up with semolina and then put them in a hot oven – makes them really crispy! It is really nice – I read the idea in an english magazine and copied it, tastes lovely, love the crunch!